Researchers at the University of Alabama at Birmingham have described an underlying mechanism that reprograms the hearts of patients with ischemic cardiomyopathy, a process that differs from patients with other forms of heart failure, collectively known as dilated (non-ischemic) cardiomyopathies. This points the way toward future personalized care for ischemic cardiomyopathy, according to the scientists. The team’s study (“Genome-wide DNA methylation encodes cardiac transcriptional reprogramming in human ischemic heart failure”) is published in Nature-Laboratory Investigation. “Ischemic cardiomyopathy (ICM) is the clinical endpoint of coronary heart disease and a leading cause of heart failure. Despite growing demands to develop personalized approaches to treat ICM, progress is limited by inadequate knowledge of its pathogenesis. Since epigenetics has been implicated in the development of other chronic diseases, the current study was designed to determine whether transcriptional and/or epigenetic changes are sufficient to distinguish ICM from other etiologies of heart failure. Specifically, we hypothesize that genome-wide DNA methylation encodes transcriptional reprogramming in ICM. RNA-sequencing analysis was performed on human ischemic left ventricular tissue obtained from patients with end-stage heart failure, which enriched known targets of the polycomb methyltransferase EZH2 compared to non-ischemic hearts. Combined RNA sequencing and genome-wide DNA methylation analysis revealed a robust gene expression pattern consistent with suppression of oxidative metabolism, induced anaerobic glycolysis, and altered cellular remodeling,” write the investigators. One well-established epigenetic change is the addition or removal of methyl groups to the cytosine bases of DNA. Generally, hyper-methylation is associated with a reduction of gene expression, and conversely, hypo-methylation correlates with increased gene expression. Dr. Wende and colleagues found an epigenetic signature in the heart of patients with ischemic cardiomyopathy that differed from the non-ischemic hearts. Furthermore, this signature was found to reflect a long-known metabolic change in ischemic cardiomyopathy, where the heart's preference of metabolic fuel switches from using oxygen to produce energy in cells, as healthy hearts do, to an anaerobic metabolism that does not need oxygen. This anaerobic metabolic preference is seen in fetal hearts; however, after birth, the baby's heart quickly changes to oxidative metabolism. 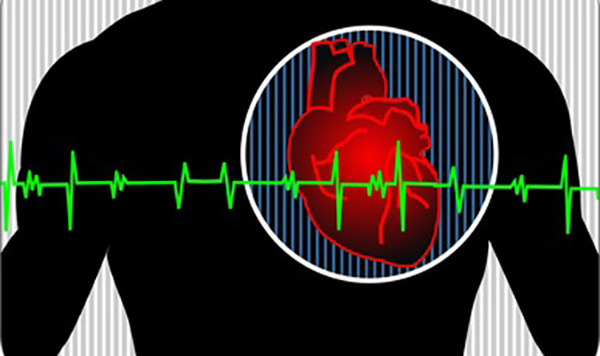 “Altogether, we believe that epigenetic changes encode a so-called 'metabolic plasticity' in failing hearts, the reversal of which may repair the ischemic and failing heart,” Dr. Wende says. This contribution by EZH2 offers a new molecular target for further mechanistic studies that may aid precision-based heart disease therapies, adds Dr. Wende. Of note, co-author Sooryanarayana Varambally, Ph.D., associate professor, molecular and cellular pathology, UAB, has spent over 15 years studying this protein, and has already made progress using small-molecular inhibitors to regulate EZH2 to treat various cancers.